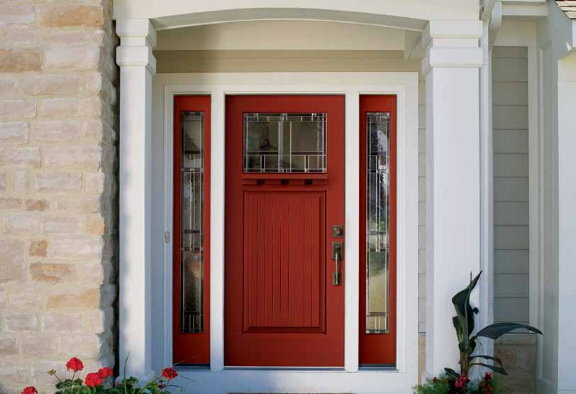 There are many reasons homeowners are looking for new fiberglass entry doors today. When a homeowner is considering a new exterior door installation some are looking for that “WOW” factor, an updated look with great curb appeal and energy efficiency. Our staff at Lake Cook Exteriors provides our customer extensive guidance with checklists in deciding on a door. We truly listen to you! A new door has many details to discuss with selection of door and lockset styles, door finishing details, decorative glass and privacy ratings. Besides all the design elements one very important consideration is the skill of the exterior door installer. 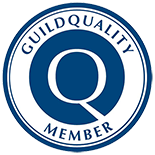 Your door is measured by our skilled installer who installs your door! While our customers go through the decision process of an exterior door installation, we at Lake Cook Exteriors want our clients to be comfortable with our staff, use the design tools we have available to our customers and give the pros and cons of design styles to choose your final purchase. Our Showroom in Palatine displays doors, locksets, storm doors and job photos to help you make decisions. Use the “Contact us” form and let us know you are ready to start you design selections with our Therma Tru Design a Door software. Surrounds are, simply put, the decorations that can be added to each side and above your door to create nearly any look you choose. Add glass panels, stained glass, iron designs, solid panels, or nearly any design you can imagine to enhance the beauty of your entryway. We work primarily with Fypon surrounds because of their high quality and classic designs. Fiberglass entry doors are a great alternative to wood or steel. They’re energy efficient, easy to maintain, secure, and much more durable as their counterparts. We work with Therma Tru, the inventor of the fiberglass door, who offers several types of door, which includes several collections of doors with various types of authentic wood grain looks from oak, mahogany and smooth finishes . A storm door is designed to be installed in front of an entry door or other door that may become damaged by the elements. The aluminum-and-glass construction protects your primary entry door, and allows additional ventilation in your home during warm months with the unique Pella Rolscreen design option. They securely lock, offering protection while your entry door is open. Lake Cook also provides patio doors from Simonton and Park-Vue who offer beautiful French patio doors that add character to a any room as well as sliding patio doors and patio doors with internal raise and lower blinds to protect your floor, carpets and furniture from the hot summer sun. You may purchase entry doors that are 100% ready for use, or a plain door that you can paint or stain any desired color. Your options are literally endless when you buy a door you can stain or paint yourself. Too busy to paint? No problem, Lake Cook can even offer in-home customer door finishing for you! You pick the paint or stain, and we do the work, it’s that easy. Your entry door gives you the opportunity to fully customize the appearance of your home’s exterior. You may choose to include surrounds or leave it plain. Buy a door with a variety of glass styles or a solid panel; the options are many, and each option you choose further customizes the look of your home. Enhance the security of your home by choosing a lockset that also compliments the type of decor you like. The sheer variety of locks and entry door decorations available mean that your door can be uniquely yours. 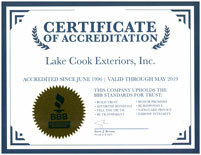 Thank you for your interest in Lake Cook Exteriors. Before you go, take a look at how we can enhance the beauty of your home’s exterior by viewing our gallery of past projects here. See what some of our previous clients say about us here. 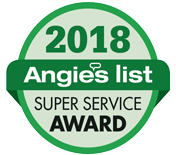 If you would like to speak to us directly about our entry doors, call Bill, Karen, Don or Nolan at 847-991-9180 or contact us through our website by clicking here.